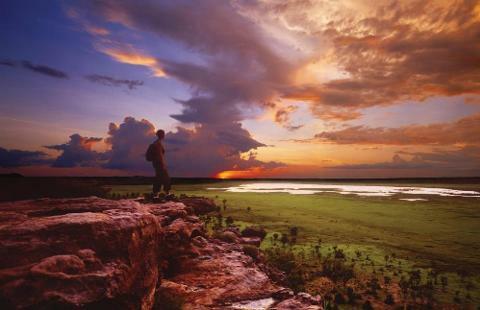 Travel via Adelaide River and the Marrakai Plains deep into Kakadu National Park. 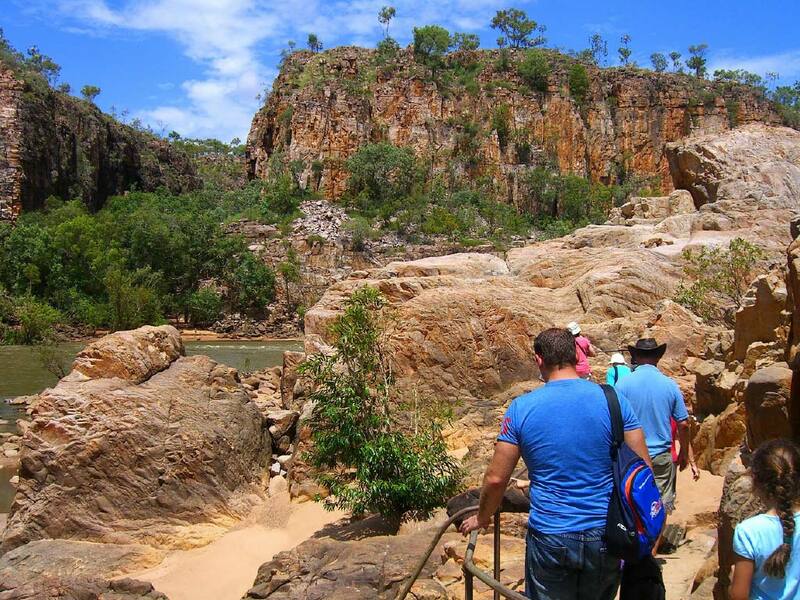 Take a guided walk at Nourlangie Rock where your Driver Guide will lead you on a walk to view the rock art galleries. After lunch, join your local guide on a cruise of Yellow Water Billabong. Search for saltwater crocodiles and the colourful range of birdlife for which this region is renowned. Visit the Warradjan Cultural Centre to view the informative displays depicting the traditions of the Aboriginal people in Kakadu. Hotel: DoubleTree by Hilton Hotel Esplanade Darwin (Superior), Darwin, 2 nights. Travel south through tropical country, passing former WWII airstrips. We make a short stop at the Adelaide River War Cemetery, a site dedicated to those killed in the air raids in Darwin in the 1940’s. Continue to Edith Falls, where there is time for a refreshing swim in the waterhole beneath the falls (conditions permitting). 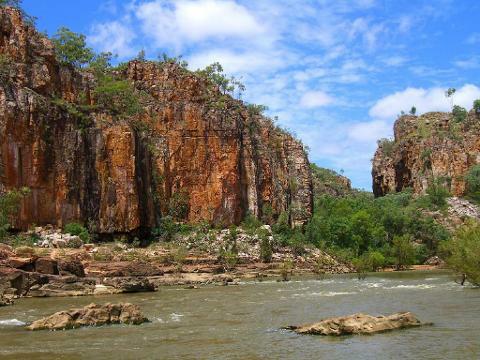 Enjoy lunch and a 2 hour scenic cruise through Katherine Gorge in Nitmiluk National Park. Enjoy a brief tour of Katherine, the hub of the region’s cattle and farming industries. An evening stop is made at Adelaide River where you may purchase dinner (own expense). You may like to sample the famous ‘Barra and Chips’, before returning to Darwin. Leaving Darwin, we follow the Stuart Highway via the township of Batchelor to Litchfield National Park. Visiting the main falls of the Park, you have the opportunity for scenic and interpretive bush and monsoon vine forest walks. View Florence Falls before making your way down the stairs to the plunge pool below with an opportunity to swim. 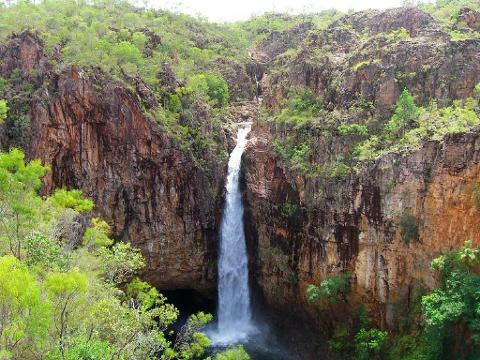 We then visit Tolmer Falls for a magnificent view of the water cascading down to the deep waterhole below. Venture to Wangi Falls for another opportunity for a swim in the large crystal clear pool and an optional steady climb through the rainforest to the top of the falls. During the day we stop for a picnic lunch. It is a great day also for taking many interesting photos, including the amazing stand of Termite Mounds.